What: Christmas dinner is not complete without everyone’s favourite meaty treat, Pigs in Blankets. 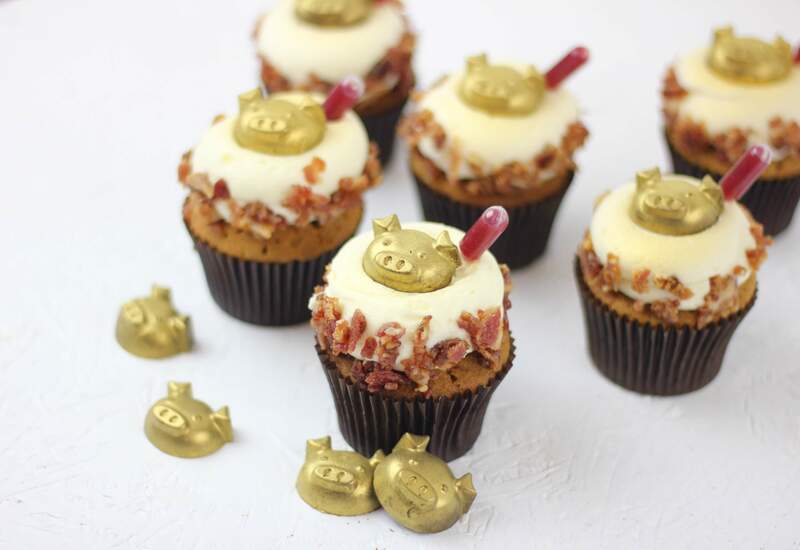 London’s gourmet bakery, Flavourtown Bakery, has created a cupcake inspired by the little pork wrapped presents for the festive season. This is not a drill, people. 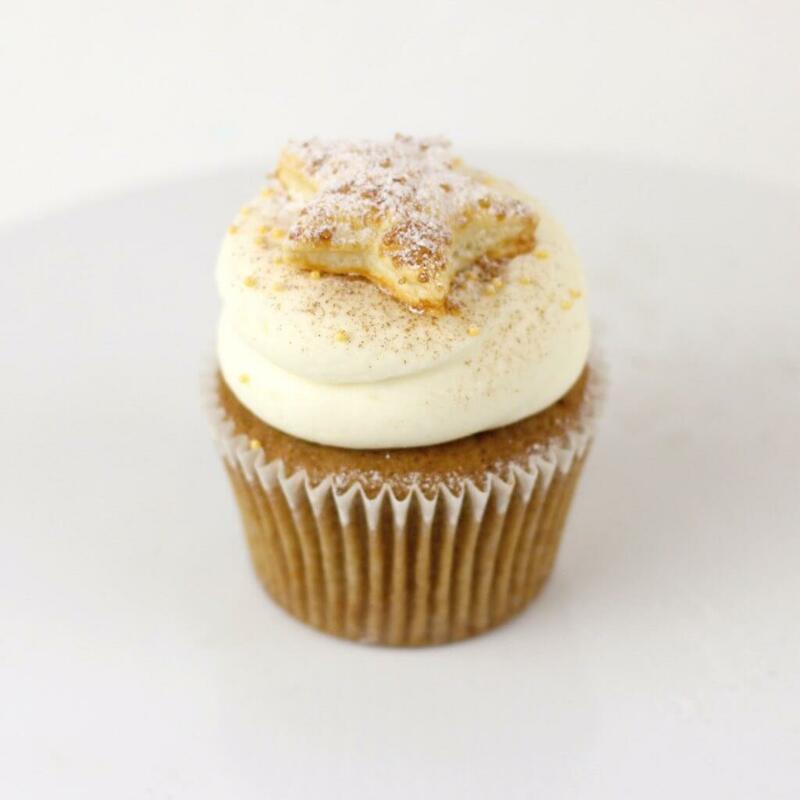 The Lowdown: The brown sugar sponge is filled with caramelised bacon and topped with a sausage spiced frosting to transport you to the Christmas dinner table in an instant. If meaty cakes aren’t your bag, try the Ferrero Posher – a chocolate filled sponge topped with Nutella mouse frosting, rolling in caramelised hazelnuts and then dipped in chocolate and sprayed gold – or the new limited edition Mince Pie cupcake (above). What: Sisters Annabel and Emily Lui are the duo behind Cutter & Squidge. After a successful pop-up this summer in Soho, they’ve recently moved to a permanent shop on Brewer Street. 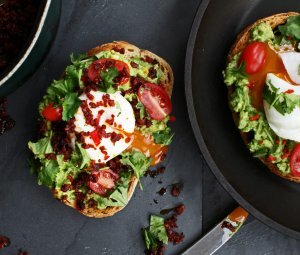 The cake shop is home to dream cakes, chocolate gems, jams and the award winning Cutter & Squidge salted caramel, which recently won 3 stars and was listed as a Top 20 product in the latest Great Taste Awards. 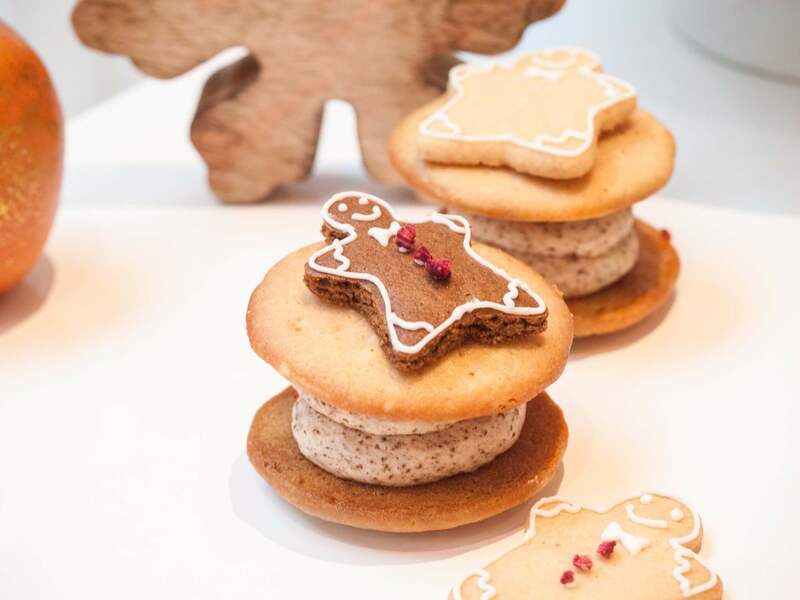 The Lowdown: Cutter & Squidge are known for creating the original ‘Biskie’ – a handmade sandwich dessert consisting of biscuit, cookie and cake filled with buttercream. 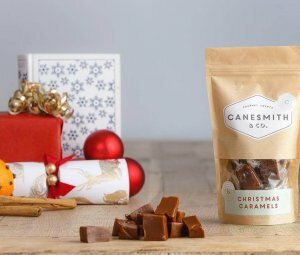 They’ve launched a new line Christmas line, showcasing a range of new flavours including Merry Mincemas, Gingerbread Latte, Chocolate Peppermint and Chocolate Orange. 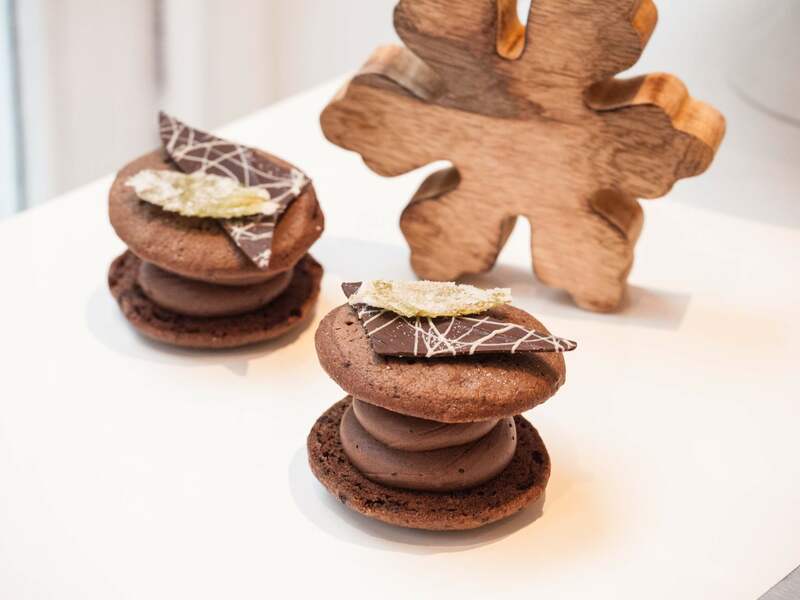 The Lowdown: They may only be for Christmas and not for life, but Maître Choux’s two new festive flavours – Dame Blanche et Noix de Coco (Coconut Snow Eclair) and Tresor à la Noisette (Hazelnut & Milk Chocolate Treasure Eclair) are absolute show stoppers. 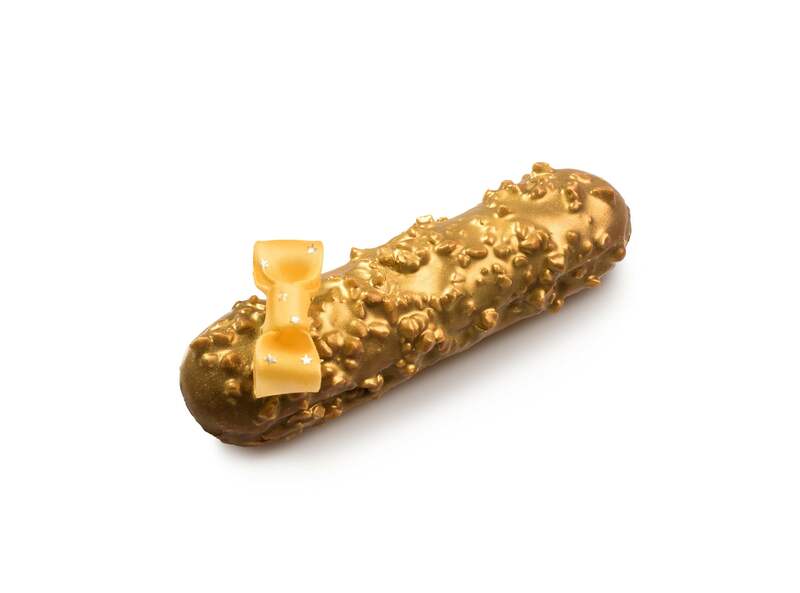 All of the eclairs are baked, filled, iced and decorated on site at the South Kensington patisserie each day. What: Paul A Young is a chocolate paradise. 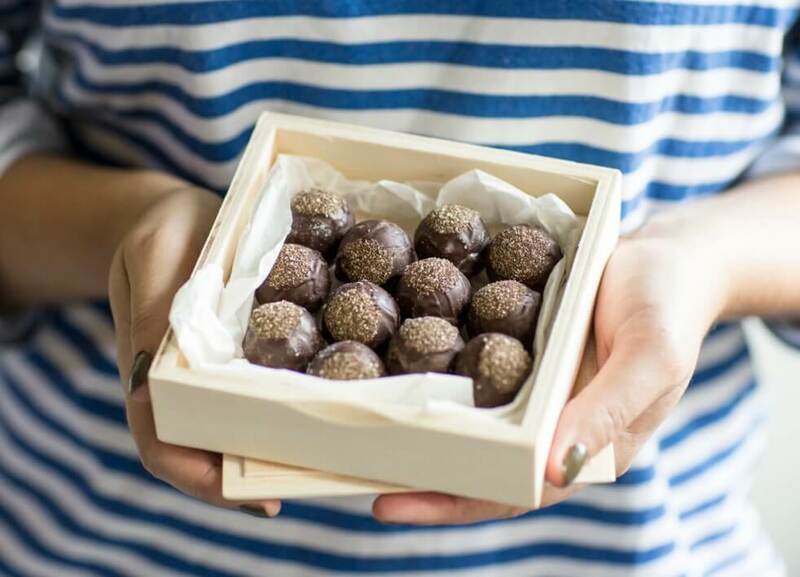 We’re talking about a fine selection of chocolate, along with truffles, desserts and a whole load of sweet treats. Quirky flavour combinations are fused with the finest chocolate to create some of the finest chocolate products around. 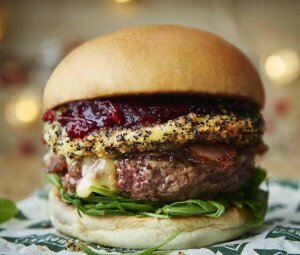 The Lowdown: Paul has collaborated with long term partners Billington’s to create a new product just for the Christmas. The Golden Sugar-Coated Caramel Bombs will delight all the family on Christmas Day with a sea salted caramel centre created with light and dark muscovado sugar, generous amounts of Madagascan vanilla and decorated beautifully with golden caster sugar. What: Sweet Things, the award winning bakery and cake shop in Primrose Hill is famous for its mouth-watering cupcakes created by owner Natalie Allen and her team. Not only to they bake cakes, but their gooey chocolate brownies are also pretty special. 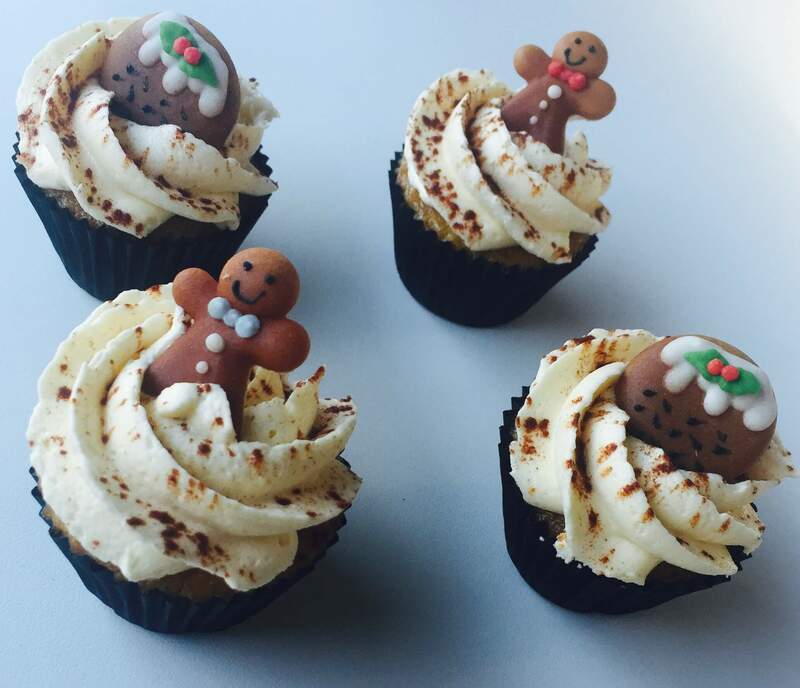 The Lowdown: For the festive season, tuck into mince pie flavoured cupcakes. 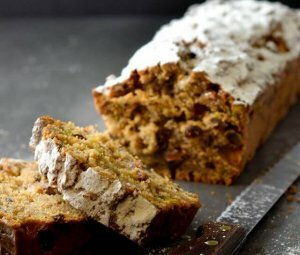 A scrumptious treat to enjoy this Christmas, the cakes have all the flavour of a traditional mince pie, topped with the creamiest icing – perfect to enjoy after a wintery stroll on Primrose Hill.